The last time I had silky, fly-away-free hair, I was still in nappies. Every morning, I wake up, roll out of bed, splash my tired eyes with water, and strike up the same old conversation with my disheveled reflection – “Is today THE day?” I make a million promises: not to towel-dry vigorously; only to blow-dry the roots; to blow-dry with cool air; to brush twice (once before the shower and once after); or to brush three times (before, during and after). Heck, sometimes I’ll throw in a fourth brush after the blow-dry! Back and forth, I barter with my own head of hair, trying to strike up a deal that lets me walk away (in slo mo) looking like the sassy lady on the back of my dry shampoo bottle. I generally find most things unruly or rebellious in life to be endearing, but when it comes to my hair, I wish it would sit down and STFU. Come rain, hail, or shine, I’m guaranteed a lovely layer of fuzzies that refuse to simmer down. 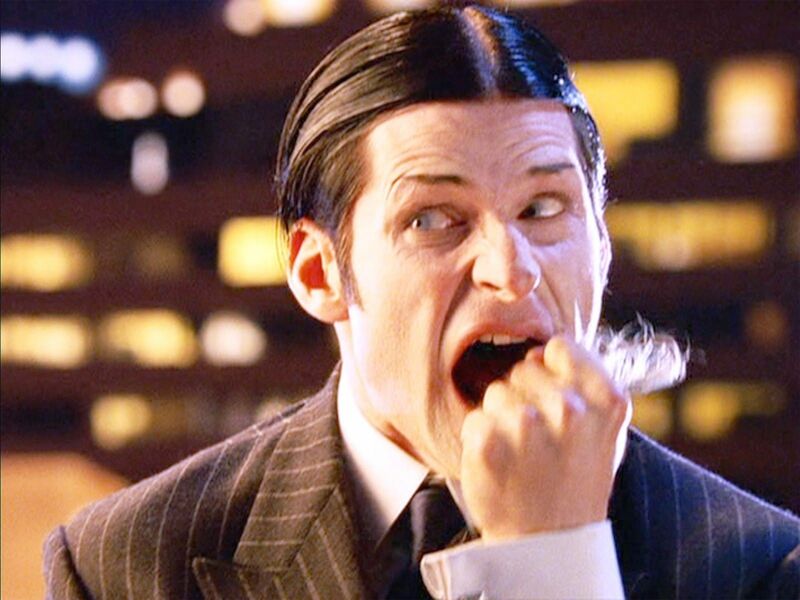 In a bid to counteract the fuzz, I’m always overdoing it with product, and nine times out of ten I end up looking less like dry shampoo lady and more like creepy thin man from Charlie’s Angels. Below are a bunch of tried and tested fuzz-fighters that I heavily rely on, because we all know the last time flyaways were cute was in 1996, when Anna Paquin taught a gaggle of geese how to fly behind a rickety aircraft in the inimitable coming-of-age tale, Fly Away Home. Eddy locked it in. Evo locks it down. Unlike the former, Evo guarantees a win every time. The Evo Lockdown Smoothing Treatment is a leave-in treatment to use on towel-dried locks, before you style with hot tools. It softens and smoothes the hair from the root to the tip, reducing frizz and improving manageability, so you can finally manipulate your mane into that perfect just-rolled-out of-bed-but-also-somehow-perfect look. P.S. It’s safe for coloured hair! Every time I use Kevin Murphy’s Smooth Again Wash and Rinse, Barry White’s primo jam “I’m Gonna Love You Just A Little More” starts up in my head, while I faff around in my shower like I’m in a TV commercial (you’ll know what I mean when you try it). Unlike a lot of expensive shampoos (where you need to use way more than you’re willing to in one hit just to work up a decent lather), a little bit of Kevin goes a long way. It’s creamy, smells like a day spa, and contains monoi oil and sunflower seed extract, which work to smoov and soov the mane and rebuild your hair from the inside, ‘cause Kev doesn’t cut corners. I’m a sucker for two things in life: half-priced Pic’s peanut butter, and anything that claims to achieve the impossible. R+Co’s Tinsel Smoothing Oil falls into the latter basket. One read of the description — “a light oil that leaves hair impossibly shiny and frizz-free” — and I’m already lathering up. It’s perfect for annoying, frizzy, woolly hair that needs to stay on the lead. The low-key size is a plus, too. At 59ml, you can take it pretty much anywhere, including 39,000 ft in the air on your next trip to Hawaii (where you’ll need it, because, humidity). I’m a big fan, and not just because the bottle looks hypnotic. I swear. 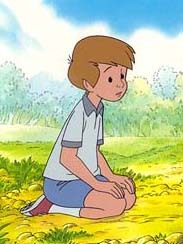 Not to be confused with Winnie the Pooh’s BFF, but every bit as steadfast and reliable as the beloved Christopher Robin. The Christophe Robin Moisturizing Hair Cream is an everyday leave-in cream, formulated to repair split ends, restore body and shine, and give a light hold, so that your hair looks ‘done’ when you haven’t ‘done’ very much at all. Rather than a band-aid solution, the idea is to use the cream daily to prevent the hair from drying out, and to keep your ends in tip top shape between cuts. It’s not oily or sticky, and will deeply nourish any hair type without weighing it down. Complete with sun protection (SPF 6), it’s basically a big ol’ bear hug for your hair. Use it on wet or dry hair, concentrating on your ends and those pesky little flyaways on the hairline. Bumble and Bumble’s Hairdresser’s Invisible Oil Pre-Shampoo Masque is a treat for particularly stressed strands. When you need to go the extra mile, this will get you there. It’s velvety, and transforms from a balm into some kind of magical elixir when rubbed together between your hands, to release six different nourishing oils: coconut, argan, macadamia nut, sweet almond, safflower seed, and (…take a breath) grapeseed oil. Use once a week on dry hair, and leave it to soak in for a good 20 minutes before you use shampoo and conditioner. My advice: Avoid your roots and shampoo twice to ensure you get the best result. If Iles isn’t some kind of divine Grecian Goddess of luxurious, velvety locks of hair, then I’ll be damned, because the Iles Formula Finishing Serum is a gift from above. It was created by a jet-setting celeb hair stylist who, partly due to luggage restrictions, needed a single product to nail all hair types – so you know it’s going to be good. It’s lightweight, protects against heat, UV, environmental damage, and humidity, and works on wet or dry hair, so you can apply before you tuck in with the tongs, or on dry hair that’s lost its way. The formula is light enough to work on thin hair without drowning it, but all the fancy bits – like silk protein, tucuma butter, and keratin amino acids – mean bulk moisture for thicker hair types and girls with curls. It’s high-performance stuff, so best applied to mid-lengths and ends and combed into the top layers with a wide-toothed comb for even distribution. They say you shouldn’t judge a book by its cover, but that’s exactly what you should do with anything Oribe. All Oribe products look like they’ve fallen off one of Ariel’s treasure-cluttered shelves during the “Part Of This World” scene (if you have to ask, get out). Mr Oribe himself has been quoted saying that, for his brand, packaging is an immediate sign of what the consumer can expect from the products. The fact that I’m one paragraph in here and still rambling on about how good the product looks ought to be testament enough, right? The Oribe Supershine Moisturizing Cream is a new take on leave-in conditioner — great for thirsty, frizzy hair in need of instant shine and softness. It whips split ends into line, and uses a soy protein biopolymer to tame the fuzz without build-up. It uses glycerin, a natural humectant, which basically means volume, moisture, and shine without the build-up BS. Long story short: looks regal, smells chic, and works a treat. Here’s a sneaky tip I learned from a profesh hair stylist recently: for those pesky little flyaways that refuse to get in line, spray some hairspray on a toothbrush and comb it over the little suckers. Do this with Eleven Australia’s Give Me Hold Strong Hairspray and thank me later.